Start investing spare change from everyday purchases with Acorns. New investors receive a $10 bonus investment. Tap below to download Acorns and get started. Link your bank so you can automatically invest spare change, earn investments when you shop and withdraw for free whenever, wherever. Sit back and let us help your change grow without changing your life. 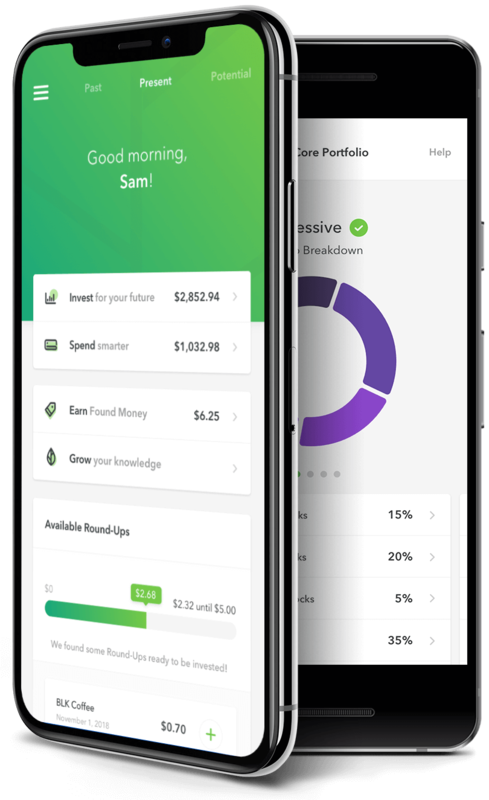 With more than 5 million investment accounts opened and over $1 billion under management — most in spare change — Acorns is the nation’s leading financial wellness system. Backed by top global investors and innovators like BlackRock, PayPal and CNBC, we’re on a mission to look after the financial best interests of the up-and-coming. From acorns mighty oaks do grow. Join more than 5 million Acorns investment accounts and grow your oak!